In the past, most companies, managed their own payrolls. Through the years, however, many have switched to outsourced providers who can handle this difficult and time-consuming work. As a result, companies have been able to save a substantial amount of money by avoiding having to use employees to accomplish these tasks. Choosing the right accountant or payroll provider will require some investigation and research, however, here are a few things to look for in a payroll provider and some questions to ask before choosing one. Not all payroll providers offer the same services, and some providers may be inappropriate for certain businesses. For example, a business that is growing quickly will likely hire new employees in the future; if the chosen payroll provider cannot keep up with this growth, it may be better to choose a different one. In addition, some companies offer bonuses, incentives and commissions. Not all payroll providers are equipped to deal with this information, so it is important to ask if their capabilities match the company’s needs. It is also important to understand that businesses often change over time. A company that has never provided commissions in the past may need to hire sales representatives in the future, so it is always better to choose a payroll provider that offers more services over one that offers only a limited set. Payroll providers have a variety of pricing schemes, so it can sometimes be difficult to determine which option will cost the least. Fortunately, information is generally easy to find online. When making comparisons, determined how much different providers will cost both in the short term and the long term. Some providers offer flat monthly fees that may mitigate the cost of purchasing more services in the future. For small businesses, however, it may be better to go with a provider that does not charge flat fees and instead charges per employee. Again, growth must be considered in this calculation; companies that expect to see growth in the future will want to ensure that their chosen provider will not become prohibitively expensive after new employees have been brought on board. As with all companies, a payroll provider’s reputation is influenced by its past performance. 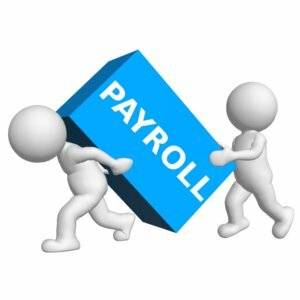 Those who hire a payroll provider will want to ensure that they choose one with a stellar reputation. Fortunately, the Internet has made the task of determining a company’s reputation far simpler, and there is a wealth of information now available online. If possible, it may help to ask current and former clients about their experiences. Experienced companies tend to offer better services than new companies, and those who are looking for the best payroll provider possible may wish to choose one that has been in operation for years. This information may be difficult to find, so those choosing the payroll provider will want to ask questions about the prospective payroll provider’s operating history. Unfortunately, there may be hidden costs and fees that can be difficult to calculate. Payroll providers tend to be make few mistakes, but mistake still happen on occasion. While it can be difficult to determine how frequently a prospective payroll provider makes mistakes, learning how they handle them can lead to useful insight. For example, a payroll provider that offers reliable service will likely offer free corrections if mistakes are made. Those who are reluctant to offer free corrections may simply lack the ability to perform error-free work. Another indicator of great service is communication. When communicating with potential payroll providers, quick replies and thorough answers may indicate better service in the future.